Good restaurants do basics like burgers, steaks, and pizza well, but the really great ones have specialties you won’t find anywhere else. 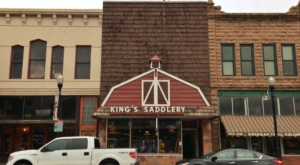 The terrific diners, cafes, and restaurants in Wyoming are no exception. Most of them offer distinctive dishes to tantalize taste buds and keep guests coming back for more. 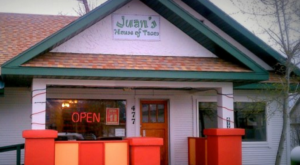 The specialties at these 10 Wyoming eateries, for example, are so amazing you’re bound to put them all on your list of favorite places to eat. 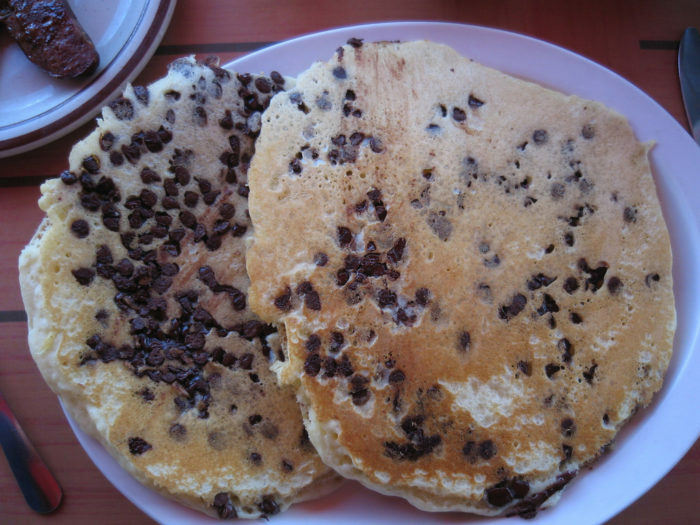 This quaint little log café in Dubois serves up delicious typical diner fare, but the huge chocolate chip pancakes are what people come for. Butter and sprinkle them with sugar, pour on the maple syrup, or eat 'em plain. They're delicious! 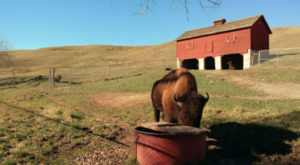 From the outside, this unassuming barn wood building looks the part of an old-time saloon, so it's surprising that the Buffalo Jump is one of the best fine-dining restaurants in the state. 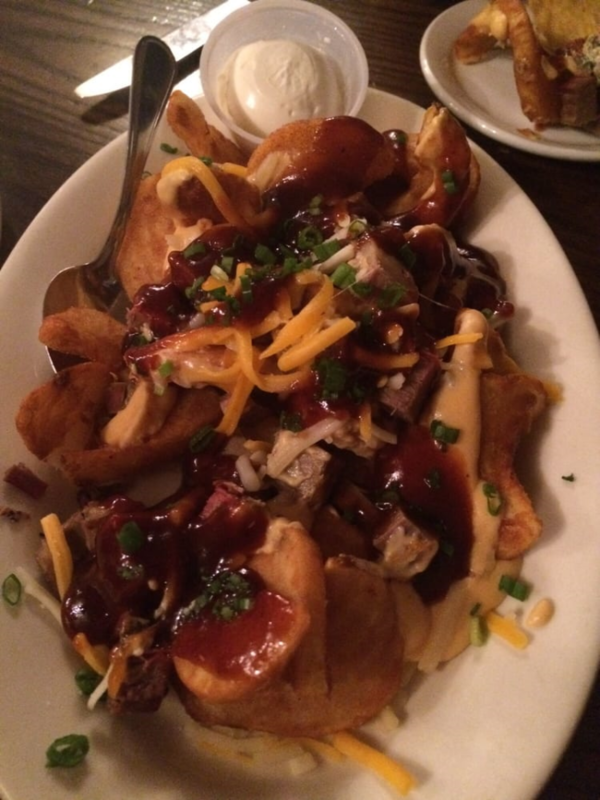 You'll be well satisfied with anything you order here, but we highly recommend the Brisket Potatoes: thick cut fries heaped with house-smoked brisket, bacon, and shredded cheese, topped with barbecue sauce, sour cream, and diced green onions. This home-style café is open from 11 a.m. to 1:30 p.m. Monday through Friday, so it's the perfect place for brunch. 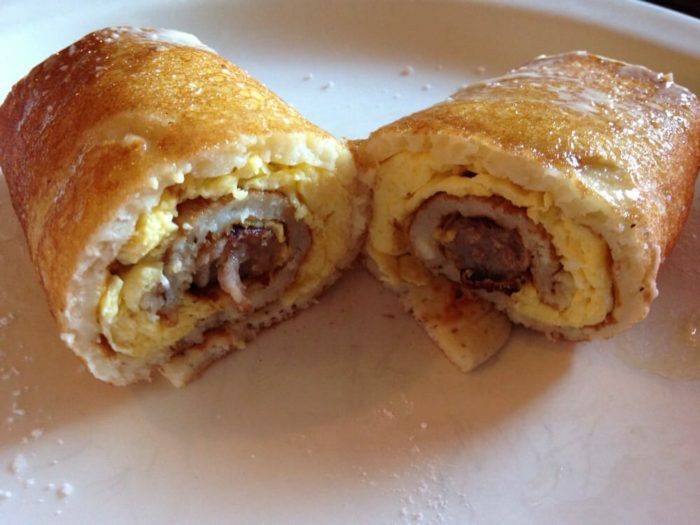 You'll find assorted breakfast and lunch favorites on the menu, and some with a twist, like the sweet and savory stuffed pancakes. The menu at this Jackson café offers plenty of comfort food favorites with a Southern influence such as crawfish boules and fried chicken and waffles. 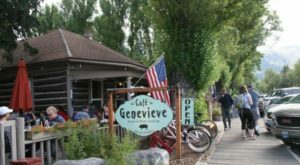 The specialty Café Genvieve is known for, however, is their Pig Candy made by coating thick Applewood-smoked bacon with a blend of spices and sugars, then it's slowly baked to create a salty-sweet treat that's satisfyingly crisp. 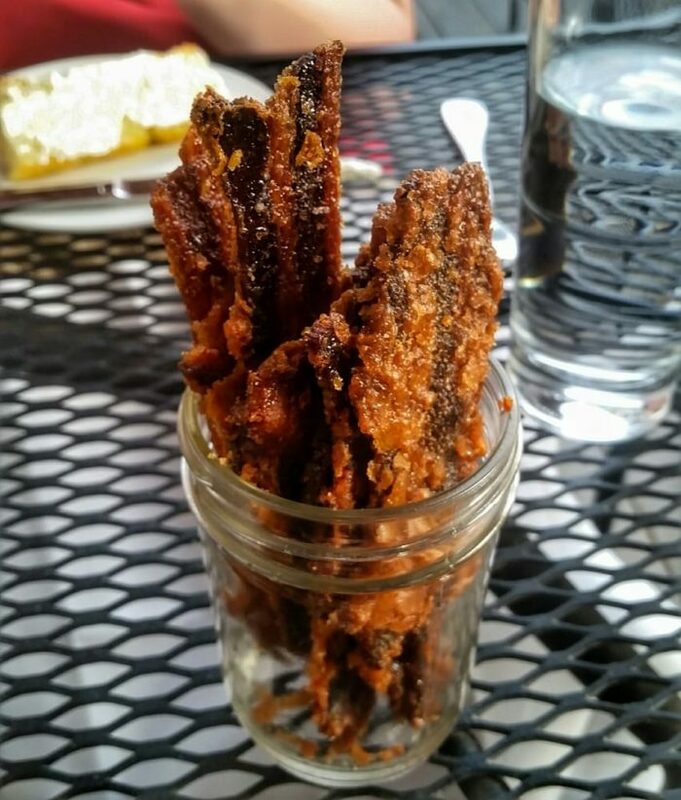 You can order pig candy as a side for your meal or crumbled over any of the brunch and dinner menu items. 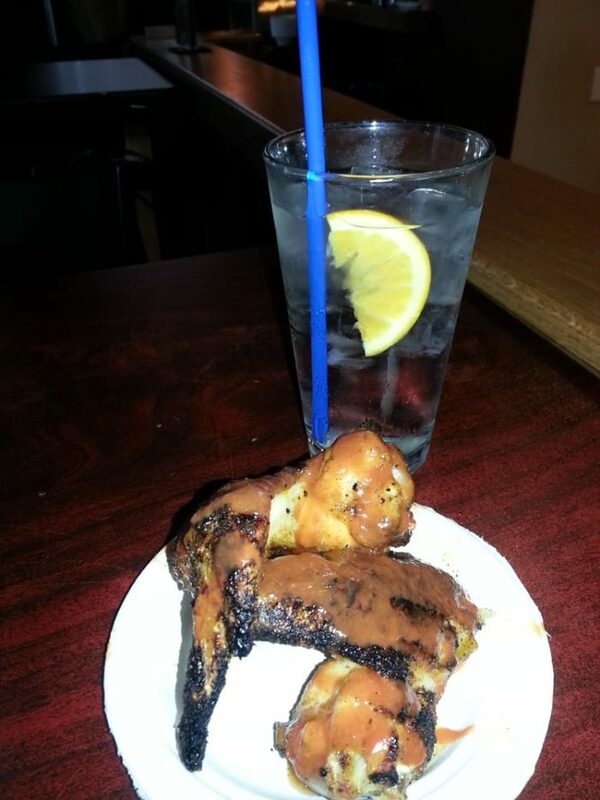 The Cavalryman has been serving up appetizing food since 1925, so they've had plenty of time to perfect the menu. Naturally, you can order the typical steakhouse fare at the Cavalryman, but a frequently featured main dish is a favorite: bison flank steak stuffed with wild mushrooms, garlic, and red onions that's been pan-seared and finished in the oven. Get Real's menu is expanded beyond typical coffee shop treats - alongside the cookies, muffins, and sweet rolls you'll also find soups, pastas, and biscuits and gravy. 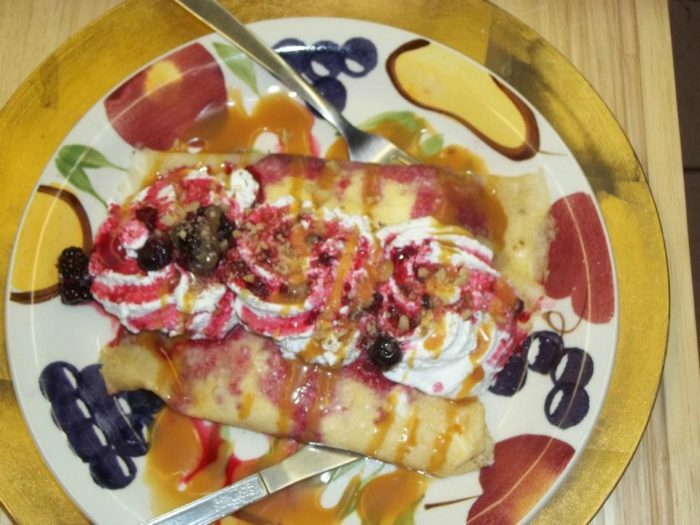 Go for brunch and be sure to order the amazing berry-stuffed crepes topped with whipped cream, crushed nuts, and drizzled with caramel. Built from a converted trolley, this diner has a retro 1950s feel. 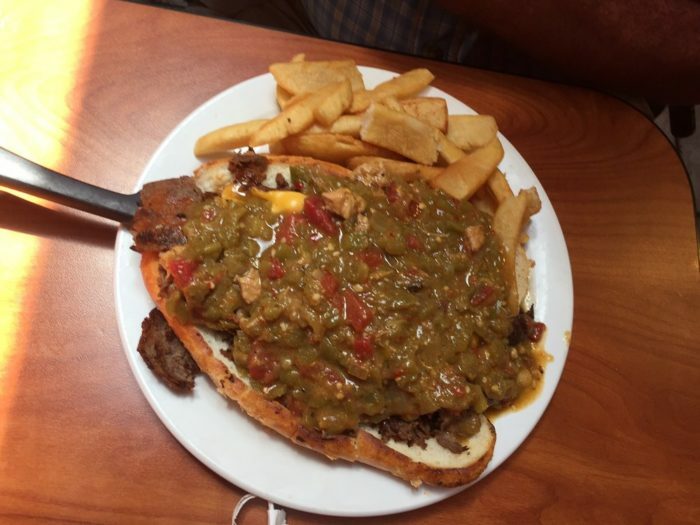 The breakfast and lunch offerings on the menu are cooked from scratch and many are classics that have been tweaked, like the must-try Green Chili Cheesesteak with Jalapeno. The Wild Sage inside the Rusty Parrot Lodge delivers on its promise of a great dining experience. 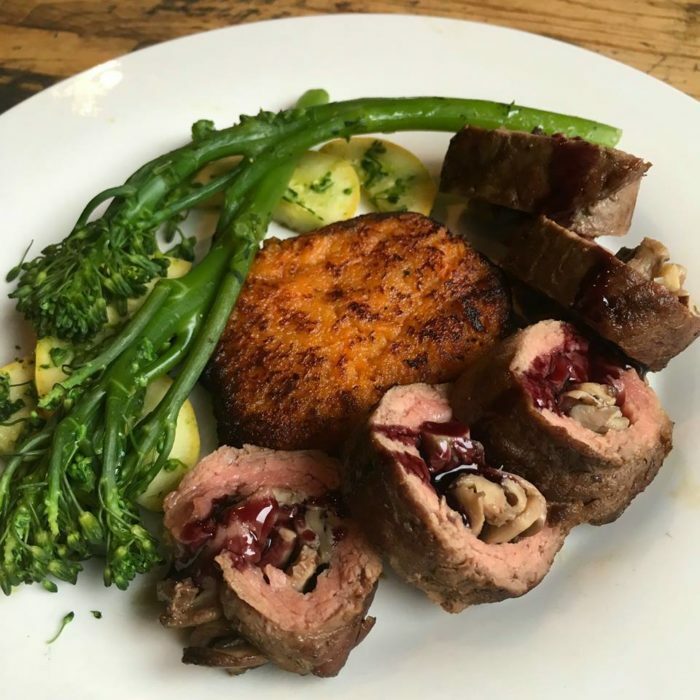 They specialize in regional cuisine so, yes, there is plenty of wild game on the menu. 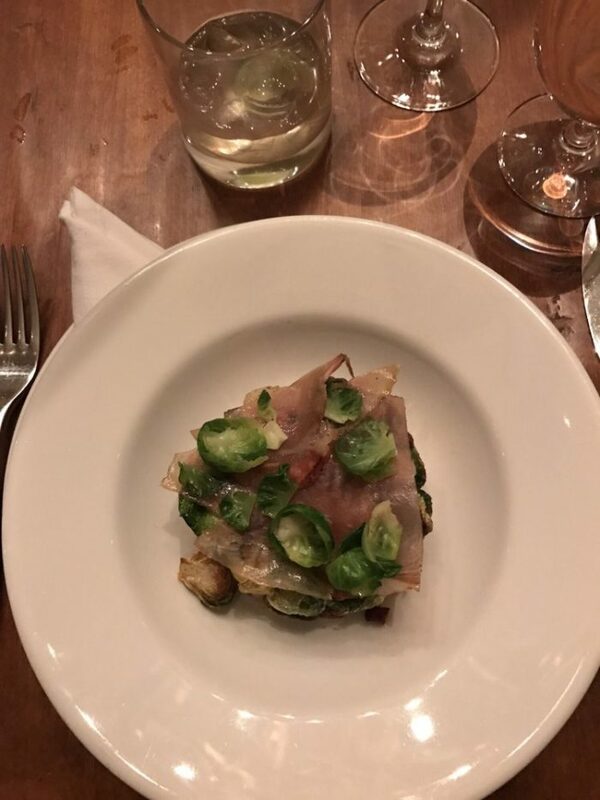 However, the dish you'll want to try for sure is on the tame side: gnocchi with house country ham and brussels sprouts. 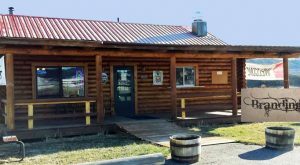 The Grizzly Grill serves the Togwotee Mountain Lodge, about 16 miles east of Moran, Wyoming. 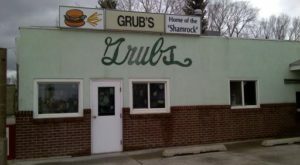 Though you're not like to simply be in the area, the food is well worth the trip. 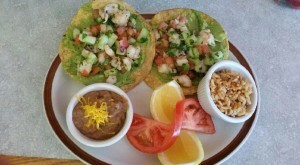 The menu is casual Western cooked-from-scratch dishes like pot roast, burgers, pastas, and fish. 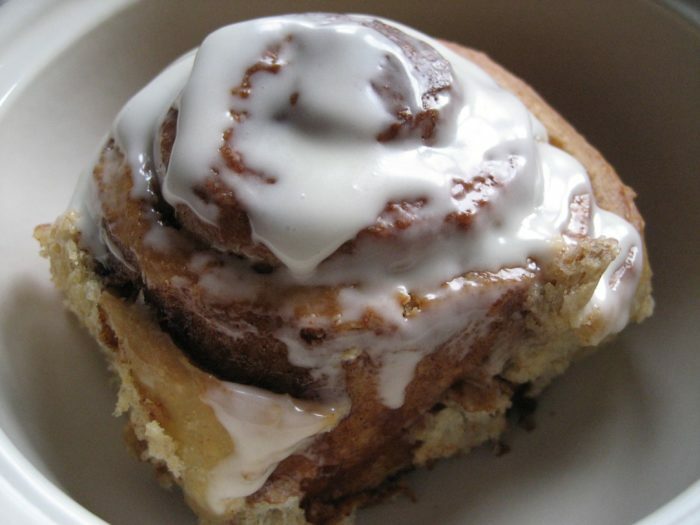 The one thing that most people remember about at the Grizzly Grill, however, are the giant, gooey, sweet and spicy cinnamon rolls. The wood-fired pies at this pizza joint are enough reason to eat here, but once you've experienced the wings, you'll be hooked. Also wood-fired, the wings at Pizza Carrello are HUGE. The dry rub makes these wings delicious on their own but it turns out you can improve on perfection: just order one of the house sauces on the side for dipping. 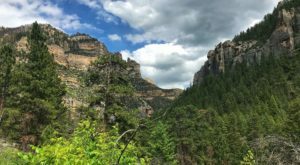 What other unique and tasty specialties have you found in Wyoming?